Please email Laura Bloom at laura.bloom@lasp.colorado.edu if you would like to be placed on our mailing list to receive future notices. Program (including detailed session schedule) – The program will also available in hard copy and can be purchased via Registration. Details are on the Logistics page. We have “courtesy rate holds” at the following hotels. They will extend a reduced rate, for a limited time, on an as available basis. After that, reservations are subject to the prevailing rates. We recommend that you reserve as early as possible. Register here. Click “Register” and scroll through the list for the symposium (standard, late, or student registration), reception, banquet, to request European young scientist travel support, and to order a printed program. You can note dietary restrictions during registration. Eventbrite will email a receipt and tickets. Symposium: The Glenn Miller Ballroom in the University Memorial Center (UMC) on the University of Colorado Boulder campus at 1669 Euclid Ave. Reception and Banquet: Hotel Boulderado, 2115 13th St.
Information and maps can be found here. To get to the symposium, you can walk (up a hill), catch a bus or Uber/Lyft depending on which hotel you choose. They are all relatively close to campus. But you might like to rent a car so you will be free to dine at Boulder’s many great restaurants; stroll on the the famous Pearl Street Mall in the evenings; or take a drive into Boulder’s beautiful foothills. There will be parking the symposium across from the UMC, and you can get your $25 pass for the week in advance. There are numerous restaurants within walking distance of the symposium for lunch—either inside the UMC or on “The Hill” across the road. Restaurant lists are on the Logistics page and there will be printouts at the symposium registration table. See Abstracts and Presentations page for information on abstract submission and presentation guidelines. See Symposium Presentations page to download talks presented at the symposium as well as photos of the events. Free for all attendees. Registration required. Please join us at a reception Sunday evening on the Mezzanine at the Hotel Boulderado. There will be hors d’oeuvres and a cash bar. Free for attendees and the public. No registration necessary. 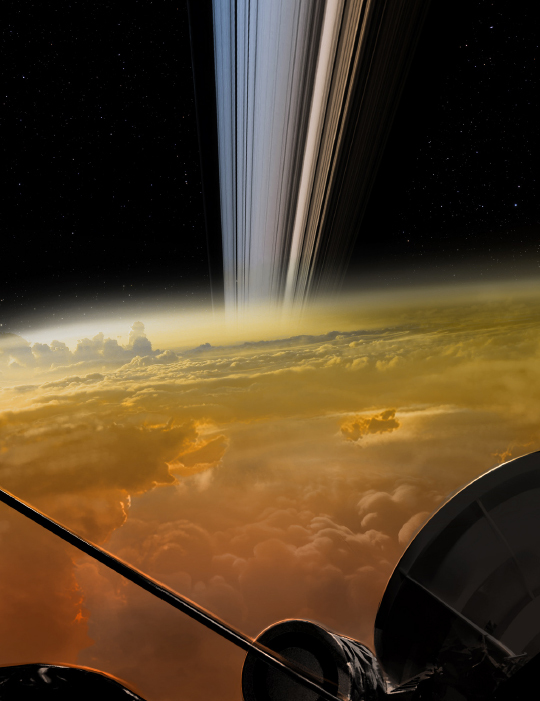 Linda Spilker will give a talk titled “Cassini and the future exploration of the outer Solar System” in CU’s Glenn Miller Ballroom, after the symposium adjourns. $70 per person. Optional attendance/registration. Symposium attendees are on their own for lunches (see Logistics above).